International Student and Scholar Services provides advising and support on immigration and cultural, personal, and other matters to all members of the campus international community. We offer workshops, information sessions, orientation and referrals to our international students, scholars, and employees. ISSS supports academic units in bringing some of the world’s most experienced scholars and researchers to UC Santa Cruz. ISSS facilitates immigration compliance within a complex, ever-changing landscape. By providing timely and accurate guidance, we enable the university to recruit and retain international students and scholars in support to the institution’s teaching and research missions. ISSS provides immigration advising and support to our F-1 and J-1 international students. Additionally, we offer orientation, workshops, information, and referrals regarding cultural, personal, and other concerns. ISSS supports international faculty and researchers who come to the US to teach, research, or work. In consultation with the host departments, we can help determine the appropriate immigration status and how to obtain and maintain that status here in the US. 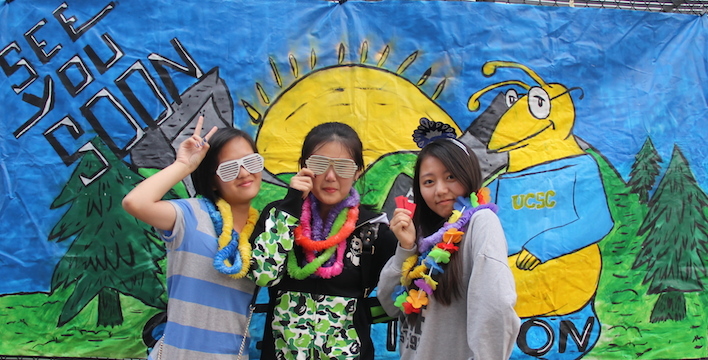 Are you looking for ways to stay in touch and be involved in UC Santa Cruz's international community? You've come to the right place! Learn more about events, workshops, and programs available to our International Students and Scholars.